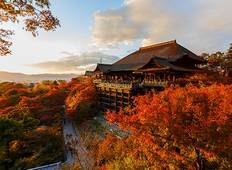 Find a Train & Rail trip that explores Japan. There are 25 tours to choose from, that range in length from 6 days up to 34 days. The most popular month for these tours is March, which has the most tour departures. "Although this tour is one of the cheapest in Japan, I couldn't have asked for much..."
"The tour covered most of the things I wished to see in Japan and more. Ayaka was..."
"Meiji presented Japanese culture excellently; led with patience, care, practicality!" "WOW! What an amazing place and out local guide Yuri was AWESOME! 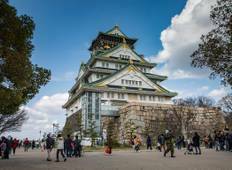 She knew everything,..."
"This was an awesome trip with a great bunch of people and an excellent tour guide...."
"I took the "Japan Express" 9-day tour with G Adventures with my mother in May 2016,..."